Donald Trump thinks he's a genius because he gamed the tax system and is not paying taxes. 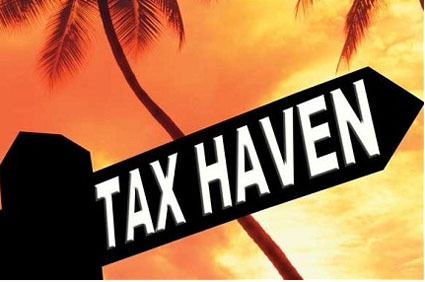 American corporations routinely stash cash overseas in two islands so they don't have to pay taxes. Like Trump, these corporations are gaming the federal tax system which needs to be changed. Hiding money in a office box in Bermuda is a good way to avoid paying taxes if your a corporation, or even a rich individual. You may be wondering why Bermuda and the Caymans are so attractive to big corporations. For starters, according to a recent study they have little in the way of a tax system. The Securities and Exchange Commission requires publicly held corporations, to disclose how they interact with the federal tax system — how much they pay in U.S. taxes, how much they pay abroad, how much cash they hold abroad for tax purposes. But guess what? No one is enforcing these requirements or the corporations wouldn't do it. It's going to take a re-write of the Federal Tax Laws - and enforcement - to stop corporations from hiding money abroad to avoid paying taxes. Right now, it's easier to stash corporate funds in these two islands than it is to get a library card, according to Matt Gardner, executive director of the Institute on Taxation and Economic Policy. Meanwhile, the rest of America is paying taxes. That, my friend, is not right!